A few years back my dad and I were talking about how people were using straight citric acid in their dishwashers and how it works similarly, but not quite as well as, Lemi Shine Dish Detergent Booster. 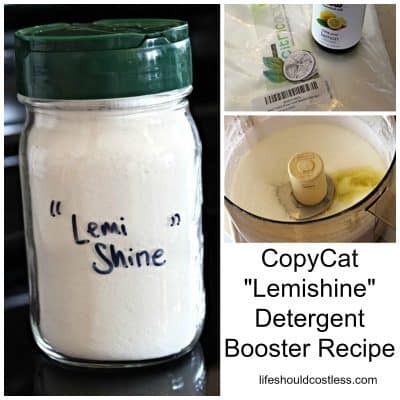 My dad mentioned that there had to be a bit more to it, to be a copycat of Lemishine, because Lemishine also conditions as it cleans. 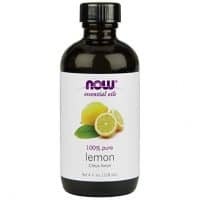 I remember thinking “I wonder if it’s Lemon essential oil”. Well life got busy and I didn’t really think about it too much after that until the next time I needed to buy Lemishine. 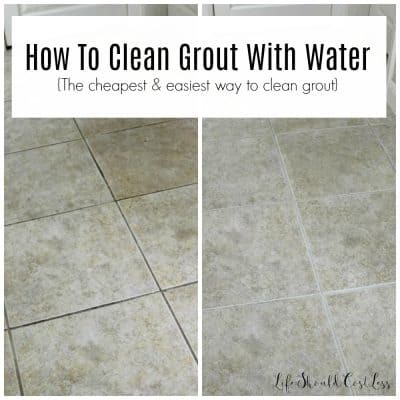 The stuff is amazing, but is also pretty expensive if you want to use it regularly. So I decided to see if I could finally figure out how to make it myself to save some money. Because frankly, I’d use it way more often if it didn’t set me back so much. 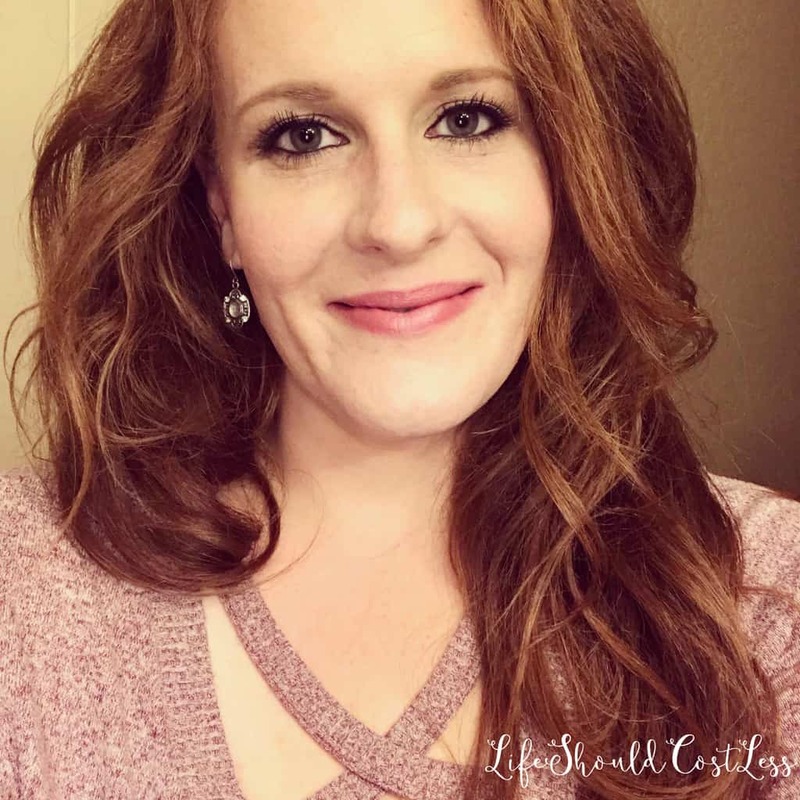 Last time I bought it I looked at the ingredients to see if I could figure out what else is in it beyond the citric acid (that conditioning quality that dad had talked about) and I was delighted to see that I was right…essential oil. 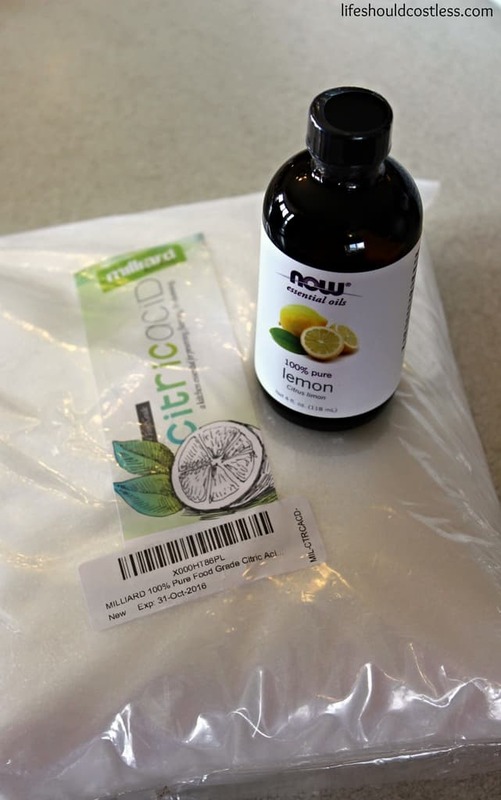 In fact, the ingredients say something to the effect that it’s made with fruit acids and citrus oils…HELLO, that’s exactly what citric acid and lemon essential oil are. Now I just had to figure out similar ratio’s of each and how to combine the two without the oil clumping. To save the most money, I bought my ingredients in bulk. After shopping around for them, I got my Citric Acid here, and my Lemon Essential Oil here. 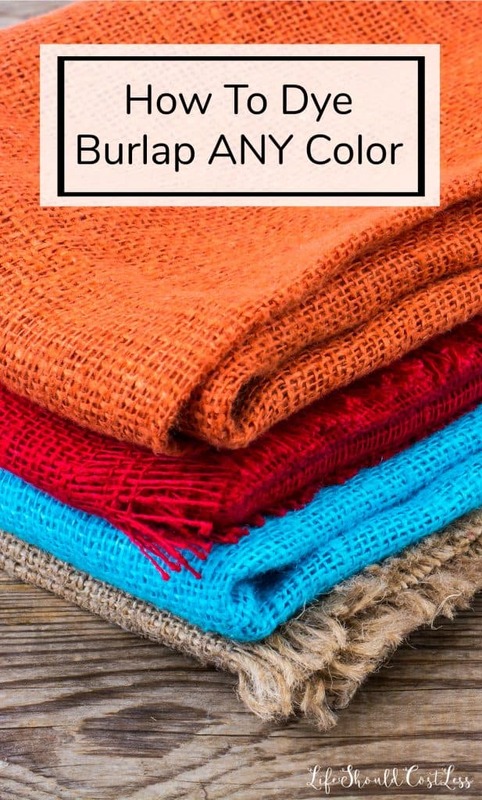 How To Dye Burlap ANY COLOR! 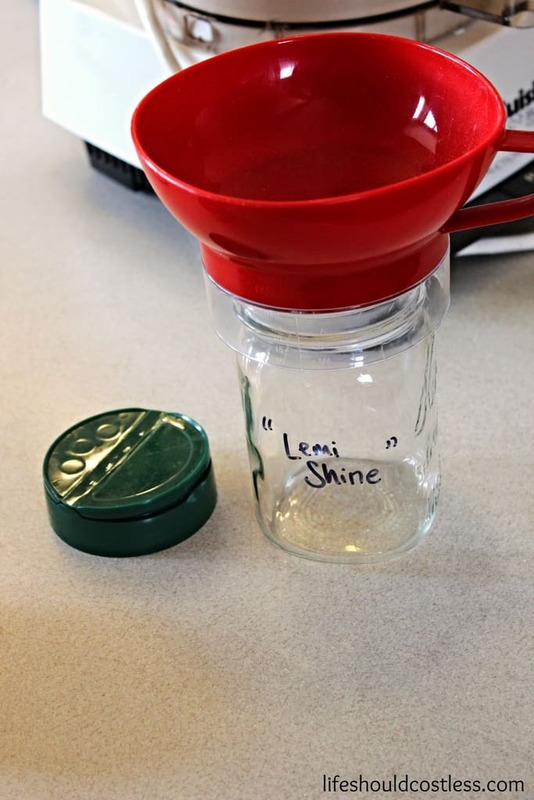 Now back to learning to how make your own CopyCat “Lemi Shine” Detergent Booster. 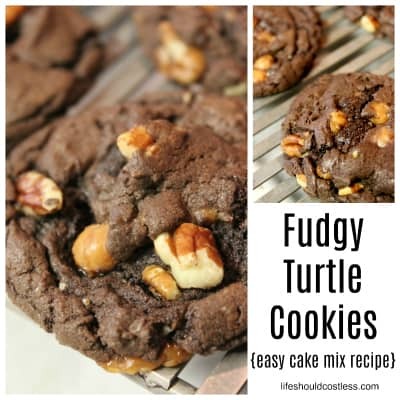 I played around with a few different ideas on mixing it, and decided that the food processor gave the best results (if you don’t have one, a blender or even a bowl with a whisk will work too, just not quite as well as it clumps a bit more). 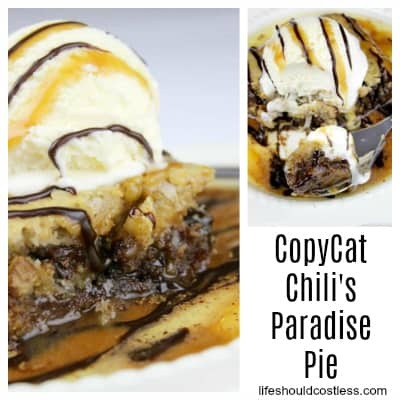 Next I share a couple of photo’s of the process, and then I added a printable recipe card further down. It seriously smelled so good I had to refrain myself from licking it… I do love all things Lemon! I wanted the amount I used to fill a pint jar which is why I made this much. I just used my canning funnel and scooped it into a regular mouth pint jar when I was done. Then did that cool trick and added a parmesan cheese lid to make it easily pour-able for everyday use. Don’t have a parmesan cheese lid handy? You can also get similar lids that fit on mason jars here. It works just the same as the real stuff, but at a fraction of the cost because I not only made it myself, but because I bought in bulk. 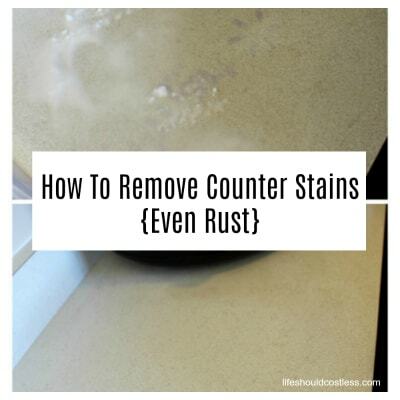 I just add it to the main detergent container in the dishwasher and then whatever detergent in the pre-wash side. If you decide to make it too, you can always adjust the oil to acid ratio, I just made my best guess (comparing the powder to the real stuff) and it came out pretty darn close. 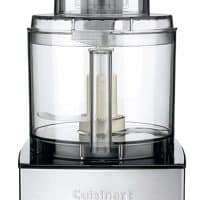 In the bowl of a food processor, add the citric acid and the lemon essential oil. Then add the lid and process for about two minutes. 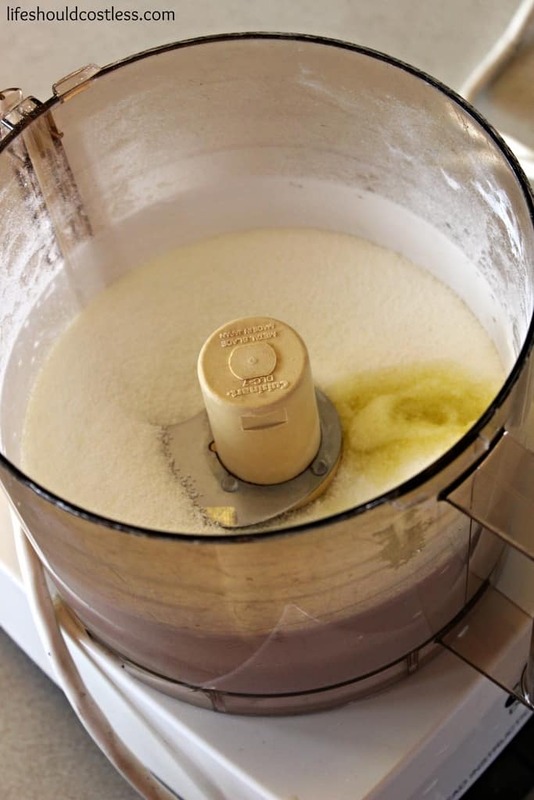 (You can use a bowl and whisk if you do not have a food processor, it will just be a little clumpy).Let the powder settle before you open it, unless you want a painful whiff! Then add to a pint sized jar with a lid. To use: Add it to the main detergent container in your dishwasher and then use your regular detergent in the pre-wash side. Wash as normal, though I usually choose a heavy/pots and pans setting. Please be careful not to use this with painted, enameled, or non-stick dishes because that is the warning on the real product…which makes sense, it is very abrasive and would definitely clean things off a little better than you would want. So, my advice is to only use it for plain glass, metals with no “non-stick” stuff on them, and any plastics that are looking dingy…like the kids cups and plates that always get looking gnarly. 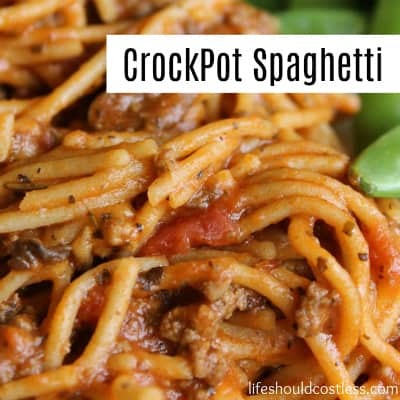 I have been using and sharing this recipe for years and have been pretty pleased with the savings that come from buying all the ingredients in bulk and making it myself. P.S. 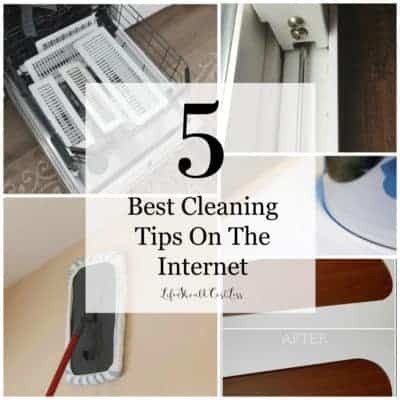 You may also like my entire DIY section as well as my Best Of lifeshouldcostless.com section. 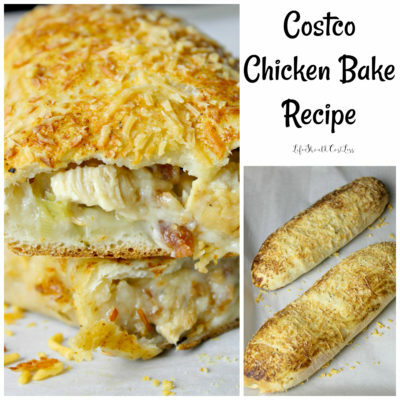 *Reposts: Please note that this idea/post was originally posted to this website on 04/07/2015, but it was in great need of a refresh so it now is more user friendly/shareable and an easier printable project card/recipe. YAYYY!!! Thanks so much for sharing this! 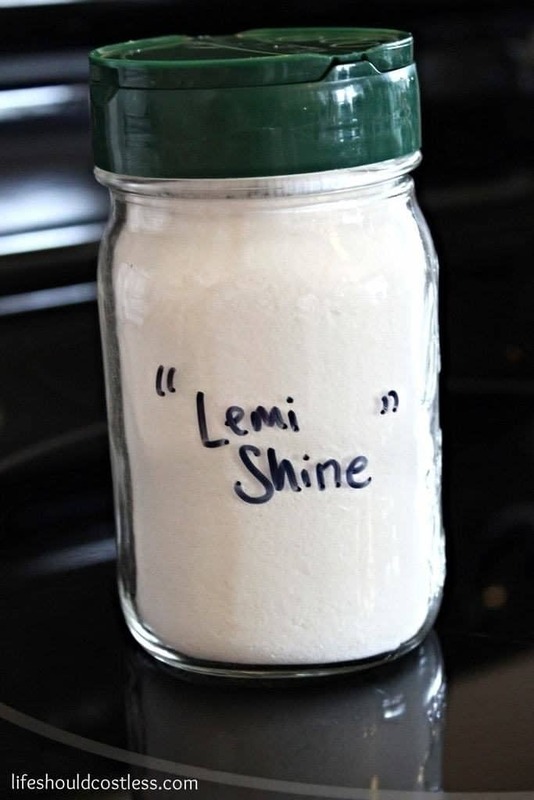 I, too, love LemiShine, but not the cost of it! 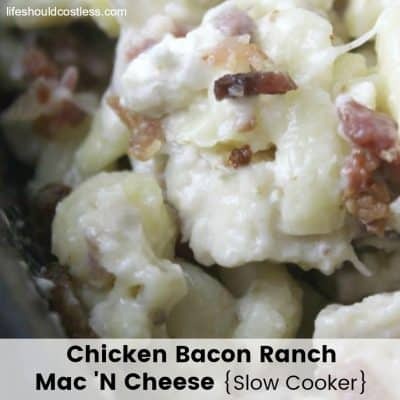 I will be making this soon and sharing your recipe with others!!! You're amazing!!! You're welcome! Thanks so much for sharing it. Can this be used for clothing? I wouldn’t dare use it for clothing, just dishes. 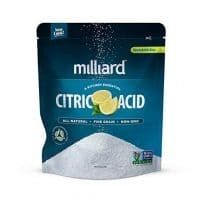 Prices on Amazon can fluctuate quite a bit, but it sounds like you may need to either watch for a deal on your citric acid, or just buy it more in bulk like 10 or more lbs at a time. 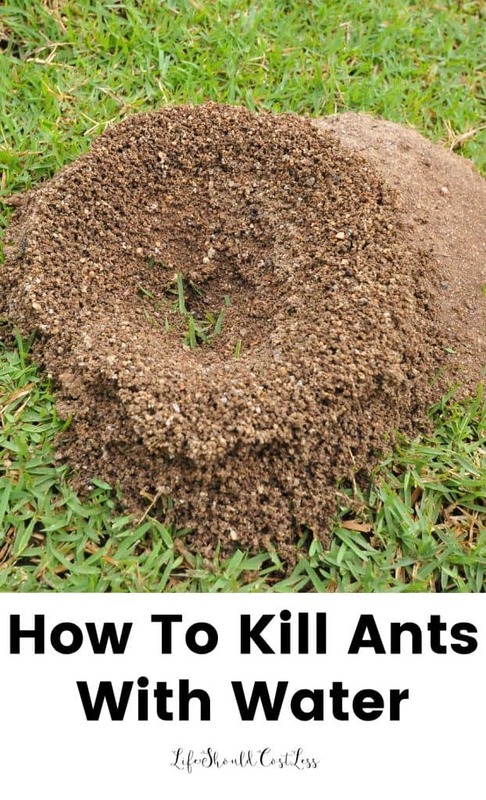 Let me know if you see any other good sources to get it cheap so that others will see it here in the comments.